Please wait, searching parts database, may take up to 60 seconds. 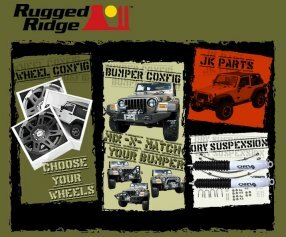 Don't forget to check out our classic lineup of wiper conversion kits for your older Jeep - get those wipers out of your face and dress up your ride! 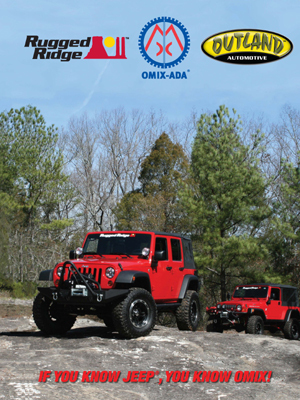 Want a free printed catalog? Add one to your cart, and we'll send it out to you. When you're done with it, don't throw it away - recycle it by giving it to a friend. If you aren't purchasing any products, select "Check" for payment method. You won't need to send us payment for the catalog only. If you have a catalog, or know your manufacturer's part number, you can "quick search" by entering all or part of the number below. You can also search for your item using keywords (e.g., "pitman arm" without quotes). Select the desired option for your search ("Part Number" or "Keywords"). Multiple keywords must all match. Search text must have a minimum of 3 characters, but can be left blank if a vehicle is selected.